Vägglampa som ger ett svagt indirekt ljus. Monteras snett eller vågrät. Finns i olika matta färger eller översta bladet i vit blank färg möjlig att skriva på. Charlotte von der Lancken was born in Stockholm 1978. She graduated as MA Industrial designer from University Collage of Arts Crafts and Design (Konstfack) in 2004 which included one semester at Elisava, Barcelona. Upon that she established Front Design together with three classmates. They established themselfes with a collection designed in collaboration with animals (2003) a solo exhibition at Droog Design Gallery in Amsterdam and "Sketch Furniture" (2005) drawings made in mid-air, recorded with motion capture and materialized with 3D-printing. They started to work with Moooi who produced the Horse Lamp, Pig Table, rabbit lamp and Blow away Vase, transformed by a digital gust of wind. They designed pieces for Materia, Offecct, IKEA, Moroso and Established & Sons. In 2007 they made a Collection in collaboration with magicians. The result was shown at Rossana Orlandi Galley in Milan and produced in a limited edition for Galerie Kreo in Paris. In 2010, they received the prestigious Torsten & Wanja Söderbergs Award, and the same year also "A&W Designer of the Year". 2013 they released their shower Collection for Axor Hansgrohe and recieved Red Dot Award "Best of the Best". They also worked with Ballantines 12 and Haägen Dazs. In 2015 Charlotte established CVDLAB. She started a collaboration with Rosenthal and created vases in a limited edition for the anniversary year of Philippe Rosenthal. 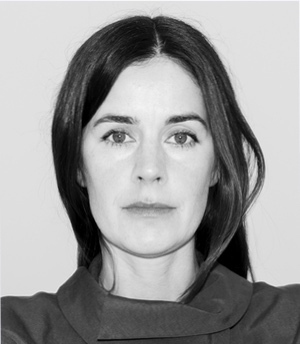 In 2017 she judged the Product Design category in IF Design Award and she collaborated with BSweden, Gemla and Materia. Her work has been included in the Collections of MoMA New York and San Fransisco, M+ Hong Kong, Nationalmuseum, Röhsska Museet, Victoria & Albert and MUDAC. Charlotte has currently an office in Stockholm and she is working on a wide range of exciting and unexpected Projects.